The DriButts Diaper Bag was made specifically to support our mission to change lives. Each Diaper Bag is hand crafted by Roxann Olivas owner of Lana Rae Handmade bags and purses. 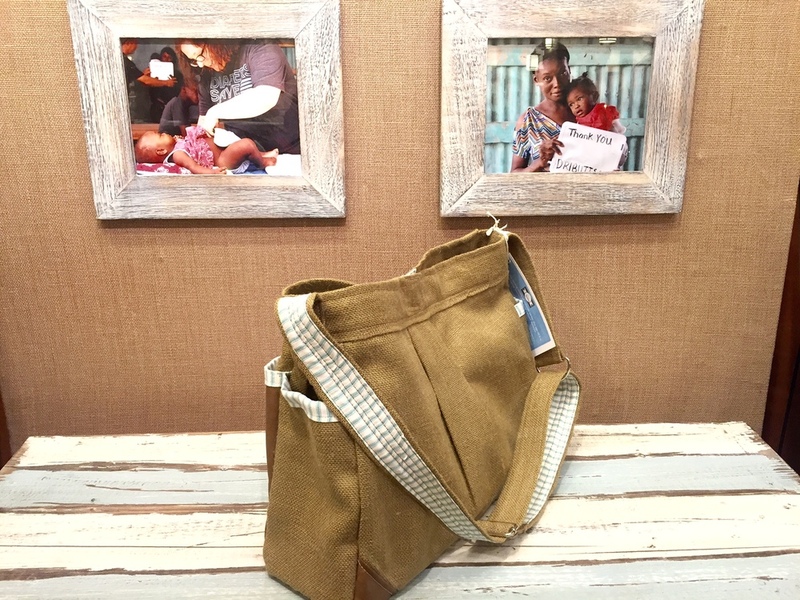 With every bag purchased, DriButts will send 2 field diapers to a family in need. Every Diaper Bag Changed Lives! Ten pockets lining the inside and outside of the bag give you a place for everything and leave plenty of room in the bag for larger items. Pockets are the perfect size for diapers, bottles, sunscreen, pacifiers, cell phones and wallets. The changing pad slides perfectly into the back pocket and is made with coordinating material. Each diaper bag comes with a changing pad included in the price. Burlap is an excellent material for diaper bags. It is durable and stain resistant , plus easy to spot clean. Burlap DOES have SHEDDING qualities, especially when the bag is new. But, the shedding will lessen over time as the surface fibers come off. These bags are multipurpose and would make excellent, beach, boat or lake bag, with plenty of pockets for sunscreen , sunglasses, extra clothes and towels.